Make The Leap to Lover's Leap. The South Coast of Jamaica may lack the white sandy beaches of Negril and Montego Bay or the exciting nightlife of Kingston but it is still one of the best places to get a taste of the “real Jamaica”. 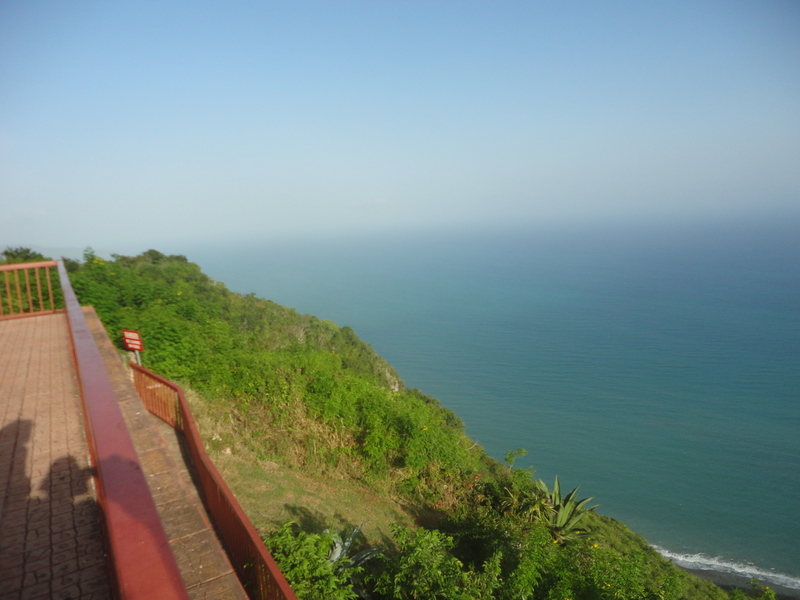 I recently ended up at Lover’s Leap in Southfield, St. Elizabeth a place I have always heard about a child but had never made it to before now. To be honest I was never really enthused about the attraction because besides a beautiful story what else was there to do or why should one visit? The truth is there really isn’t any exciting thing about it but I was so flabbergasted by the amazing view that I did not mind absence of excitement and fanfare. For those of you who haven’t heard the story before I will re-tell it. Legend has it that a couple of young slaves who were deeply in love with each other would have secret meetings at a property nearby the attraction. Their master however wanted the young woman for himself and upon realizing that she was involved with a slave,he made arrangement for her male lover to be sold. The couple heard rumors of their master’s plan to separate them and then made a plan to escape so that they could be together. They were chased by the master while trying to escape the plantation. They made it to Lover’s Leap before being cornered by the master. Not having anywhere else to go besides back to their lives at the plantation or off the edge of the cliff, they decided that death would be better than spending their lives miserable and apart. The lovers clasped hands together and plunged to their deaths. There are variations with the details of their death. The brochure’s attraction stated that an old woman witnessed them jumping but the moon caught them in a net and pulled them up. Now that would make a nice story for a fairy tale and somewhat soften the tragedy of the story but I would prefer to leave it as a beautiful tragedy and say they are spending eternity together. When you visit you the property that stands 1700ft above sea level you can make your own theories of how they died. 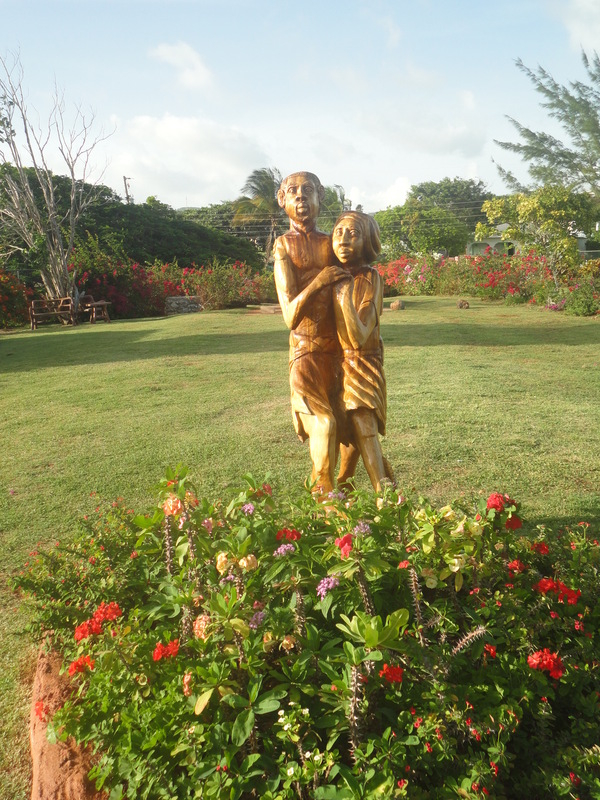 The famed Jamaican attraction after being closed for over 2 years has now re-opened and they are hoping that the beautiful tale of the property will attract visitors. From Santa Cruz you can get a taxi to Junction and then to Southfield to check it out. 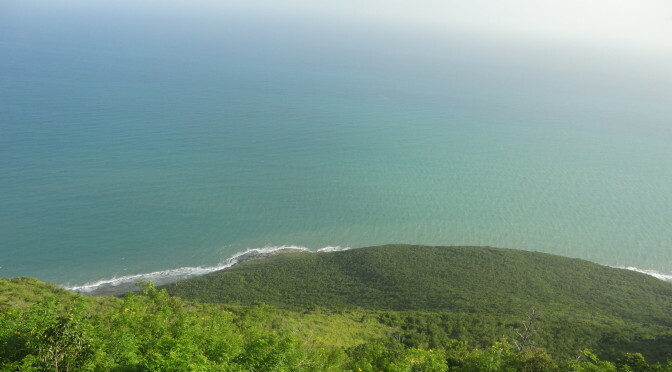 It is being run by The Tourism Product Development of Jamaica (TPDCO). The organization is seeking private investors to help them maximize the full potential of the property as it is unfortunately under visited. The entrance fee is JA$300/US$3 for Adults and JA$150/US $1.50 . The TPDCO could start by making a website or having some info about the property as the brochure does not even have a phone number or opening hours on it. That may be a good start . I can see the property being a great wedding location as the story behind it, although tragic is romantic. Even if you don’t buy into the story Lover’s Leap is worth a visit as it is among one of the most beautiful views I have ever seen. From the deck of the restaurant on site, I witnessed nature’s amazing portrait of the sky merging into the sea. It was difficult to tell where one sky ended or the ocean started. My pictures did not do the view enough justice. I would love to watch a sunrise or a sunset from the property. Hikes can be arranged , I understand it is a challenging 3 hour task that could be worth checking out if you enjoy the thrill of a good climb. Opening hours are Monday – Saturday 10am -6pm , don’t try calling just go. 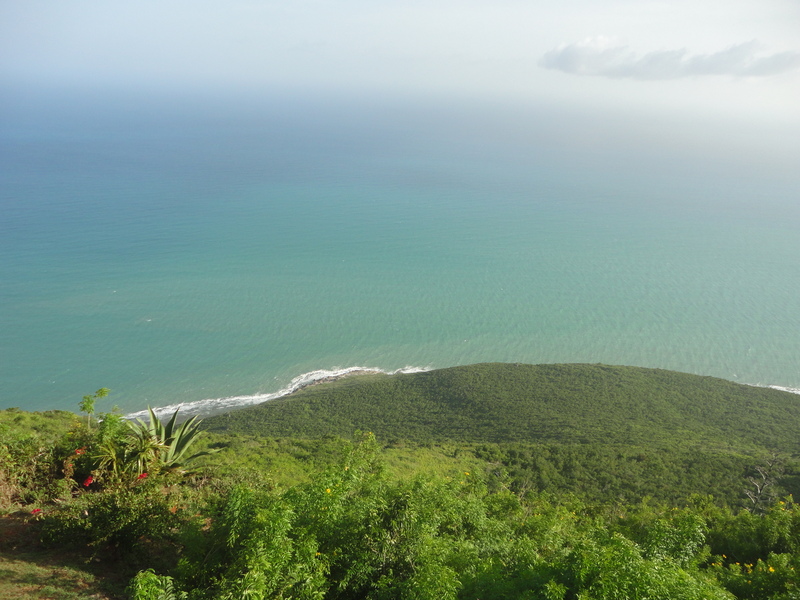 Hopefully the property will move into the 21st century soon and get online but that is the beauty of the South Coast , there is still much left to be uncovered and it is perfect for those who seek off the beaten path experiences. Author of the best selling novel Lover’s Leap: Based on the Jamaican Legend. 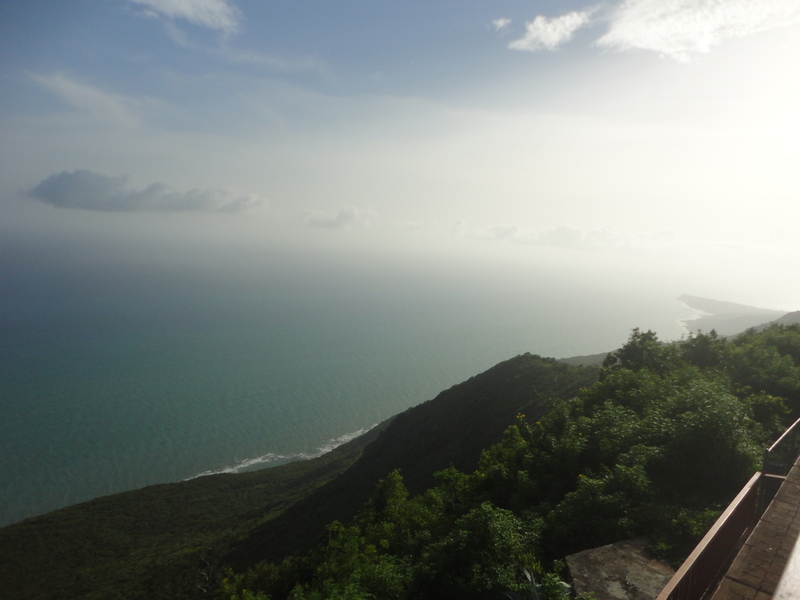 Previous Previous post: Throwback Thursdays: Come Back To Jamaica ! Next Next post: When Jamaicans Travel!